Ovamir Anjum, the Imam Khattab Endowed Chair in Islamic Studies at the University of Toledo, will lecture at Wright State on Oct. 26. Students, faculty, staff and the Dayton community can learn about Middle Eastern culture, ISIS and the future of Islam, human rights activism in Palestine and listen to music dedicated to Syrian refugees during the 2017-2018 Middle Eastern and Islamic Studies Lecture Series. The series includes two lectures and one performance at Wright State University. Awad Halabi, associate professor in Wright State’s departments of History and Religion, said the lectures are designed to encourage discussion within the campus community. “The lectures are largely there to elevate our awareness of the Middle East and to expand discussion about the region,” he said. The first lecture, by Ovamir Anjum, will examine ISIS and the future of Islam on Thursday, Oct. 26, at 4:30 p.m. in the Millett Hall Atrium. 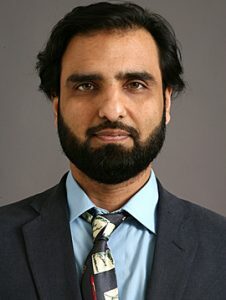 Anjum, the Imam Khattab Endowed Chair in Islamic Studies at the University of Toledo, is a specialist on medieval Islam. He is working to understand ISIS within an Islamic tradition. “He’s trying to understand it not only from a political perspective but a religious perspective and what motivates them,” Halabi said. Anjum’s talk argues that it is crucial to understand and critique the phenomenon of ISIS from within the Islamic tradition. He will explore its meaning for the history and future of Islam. 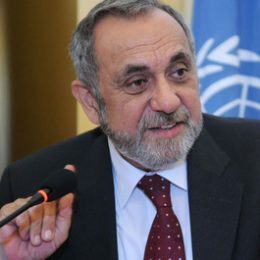 Fateh Azzam, senior fellow at the Carr Center for Human Rights Policy and an affiliate at the Middle East Initiative at Harvard Kennedy School. On Nov. 9 at 4:30 p.m. in the Millett Hall Atrium, Fateh Azzam, senior fellow at the Carr Center for Human Rights Policy and an affiliate at the Middle East Initiative at Harvard Kennedy School, will discuss human rights issues in Palestine. His talk will explore the current map of human rights activism in the occupied Palestinian territories, as well as Palestinian cooperation with Israeli organizations and the challenges Palestinians confront. The last event will take place March 18 at 7 p.m. in the Schuster Hall in the Creative Arts Center. Shelley Jagow, professor of music at Wright State, will lead the university’s Symphonic Band in a performance of “Give Us This Day” by composer David Maslanka. The Wright State Saxophone Quartet will perform “Embrace,” a new commission by composer Hyekung Lee. During the performance, Benjamin J. Montague, associate professor of photography, will present a photo documentary. The performance and photos are dedicated to Syrian refugees. Halabi encourages students, faculty, staff and the public to attend, describing the lecture series as a good way to discover more about Middle Eastern culture and politics. Students who plans to minor in Middle Eastern and Islamic studies are encouraged to contact him at awad.halabi@wright.edu or visit the program website.